Carbon forest grows by over 800 trees! One of the key goals of the Rameka Carbon Forest is to combat climate change by sequestering carbon dioxide. The best tool we have available to us for long-term carbon sequestration is a tree. They self replicate and live for a long time; some of the ones we planted live up to 700 years! So, on the 20-21 August 2016 and the following weeks we planted over 800 trees. Thank you to everyone that came out to help! We had planters from Golden Bay, Wellington and Nelson. Then, after we left DOC donated 70 more red beech trees and 50 more rata that were planted by Cath Kelly, Peggy Leyland, and Matt. 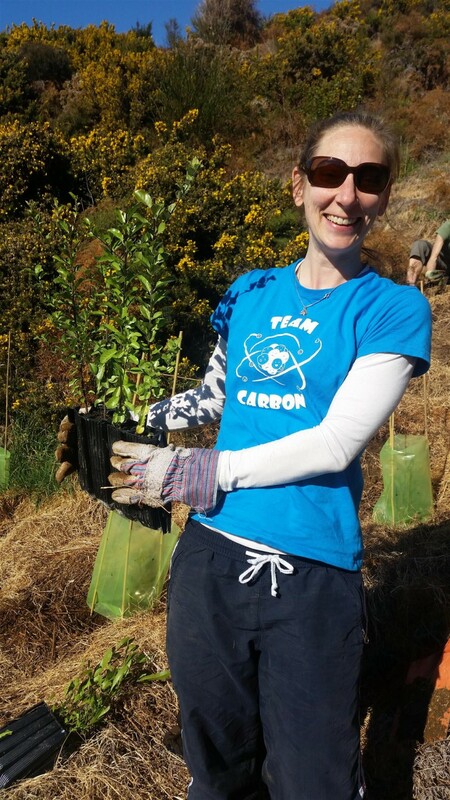 The trees planted this year were fundraised by Ginny Wood as part of her epic cycle ride, The Tour Aotearoa! These were no ordinary trees; many were high quality trees with several years of growth to give them a head start to beat out the harsh grass, wind, and possible animal browsing. Of the 800+ trees there were pioneers species such as kohuhu, wineberry, akeake, tarata, mahoe, and five finger that will shade out grass and weeds and provide shelter for the climax species. 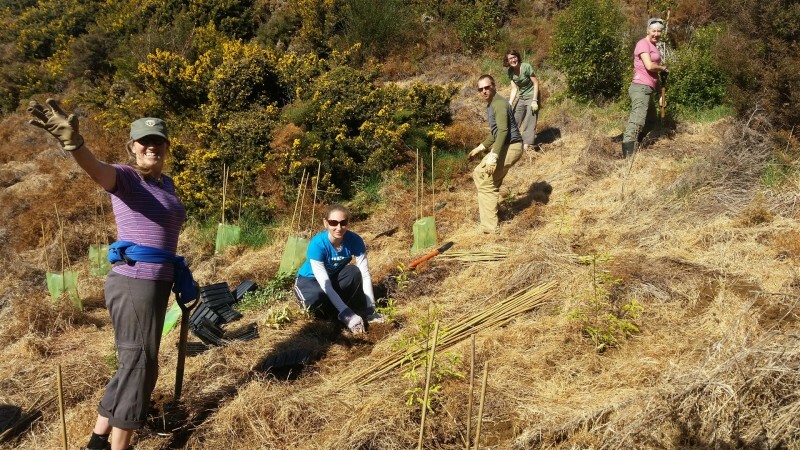 No planting is complete without getting some climax species like rimu, miro, totara, and rata in the ground. We also planted beech, kaka beak, flax, hinau, and grisilinia to increase the biodiversity and provide food and shelter for native wildlife. The next big project is the bridge over Rameka Creek. We are still fundraising on Give-a-Little, which closes 1 November.